As genealogy goes hand-in-hand with cemetery studies, this section has been added for your convenience. If you are aware of Web sites that should be added to this area, please send them to minda@thecemeteryclub.com. Free for your use: Printable starter family tree. Click on image for large version. List of genealogy sites on the Web, with more than 242,150 links! A free, daily genealogy newsletter. Offers lists of surnames then links to many resources on how to find out more about them. According to the site, "ePodunk provides in-depth information about more than 25,000 communities around the country, from Manhattan to Los Angeles, Pottstown to Podunk. Our listings also include geocoded information about thousands of parks, museums, historic sites, colleges, schools and other places across America." Also wins my award for best site name of the day! Genealogy Search Online. Free Family Tree Searches. 26,000 Genealogy Databases. 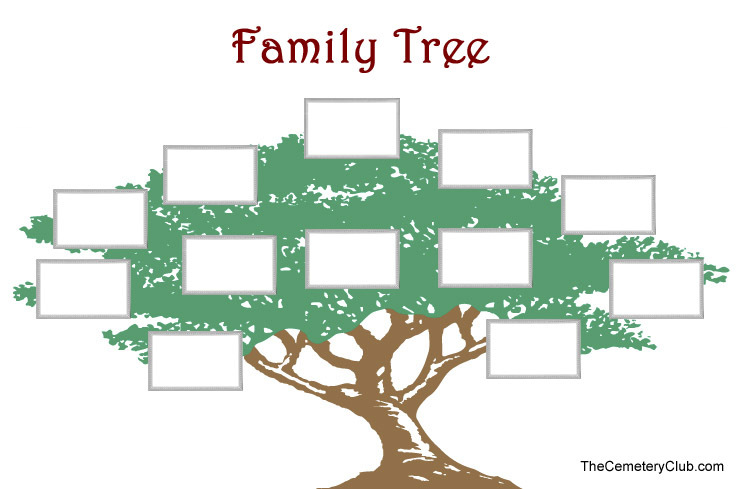 Discover Your Family History and Build Your Family Tree. A great site for people just starting their genealogy journeys. Using the basic free service at Geni.com, users add and invite their close relatives to join their family tree. All Geni users can share an unlimited number of photos, videos, and documents with their families. The cemetery transcription library. Extensive and awesome. And a MUST to visit. Kindred Trails™ Worldwide Genealogy Resources - Linking the World Together with Roots. Kindred Trails is a genealogy, family history and history related Web site. Illinois Genealogy Articles - Has lots of Illinois genealogy research articles by Michael John Neill. This is a RootDig.com site. According to the site, "The 'Map History' site forms part of the WWW-Virtual Library. It offers a non-commercial mixture of comment and tips (spread over about 100 'pages') and many thousands of links to free sites. It is the work of one individual, who (as both author and webmaster) can make and implement decisions immediately."